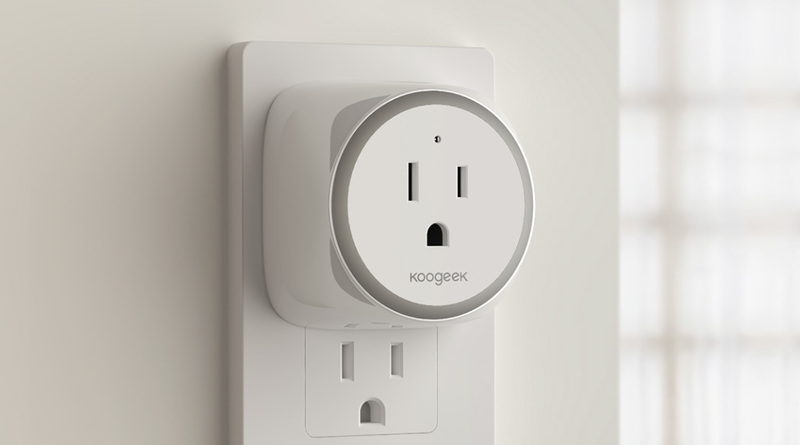 Another offering from Koogeek, this time a standard smart plug, but with an addition of a circular night light. 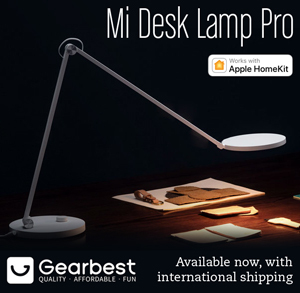 This is the P2, sort of a successor to their original P1 offering, which is still available. 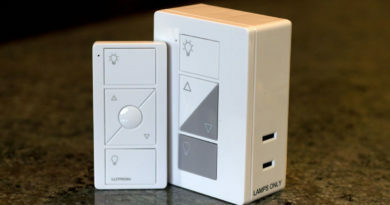 The P2 is slightly smaller overall, and with the addition of the circular night light, this is definitely an improvement on the original. 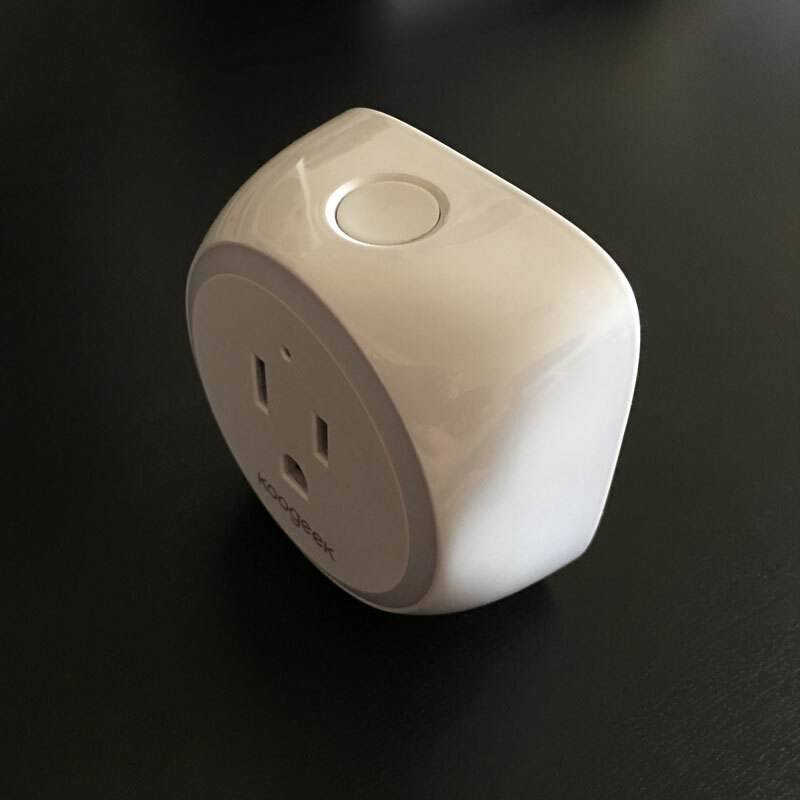 There’s nothing really amazing about the outlet, save the aforementioned nightlight, which also appears as a separate tile/device in the Home App. 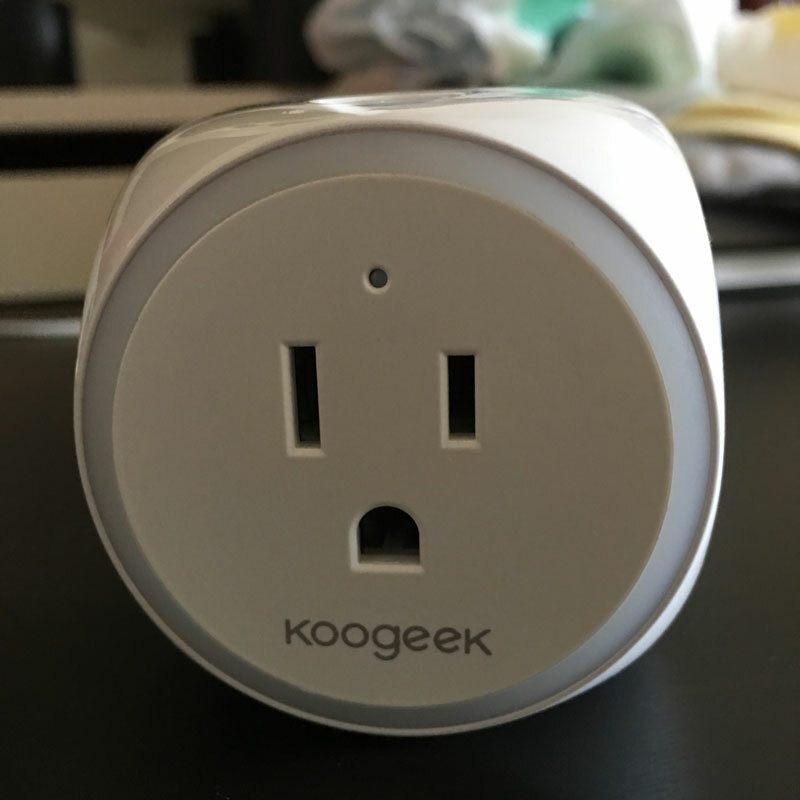 Unlike the iDevices Switch, the night light on the Koogeek isn’t capable of different colours, basically being stuck with a standard cool white hue, although the brightness is adjustable. 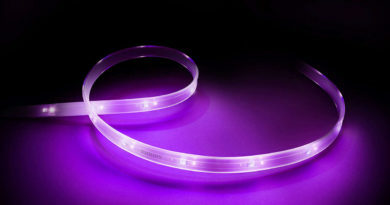 It’s certainly bright enough to work as a fully fledged night light though, so it’s definitely a bonus. 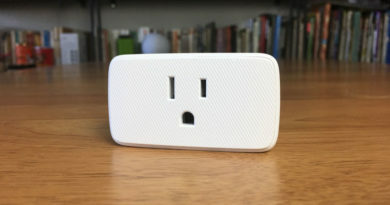 At the top of the device is a physical button to turn off the device manually, and above the socket is a small LED, that is green to show it’s connected status or red if it has somehow been disconnected from the network. 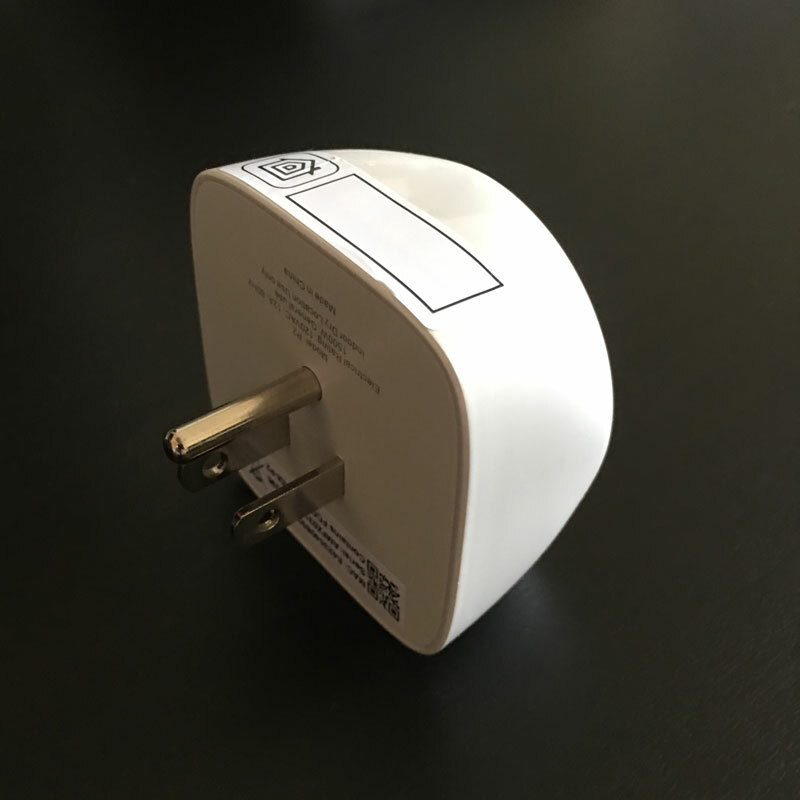 On this point it’s only fair to point out that quite a few owners of this, myself included, have experienced repeated disconnection events with this device, which while annoying, can easily be remedied by unplugging it and plugging it back in – that’s assuming the plug is in an easily accessible place of course. 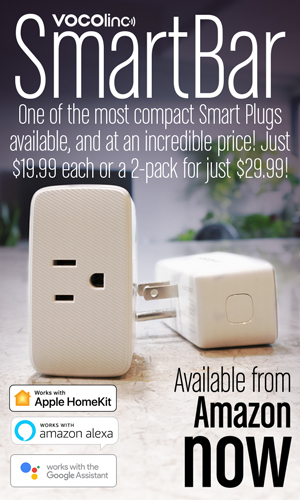 Since I bought this, there has been a firmware update, and I’m happy to say that so far since the update, I haven’t had the plug disconnect a single time, although some others are seemingly still having issues. 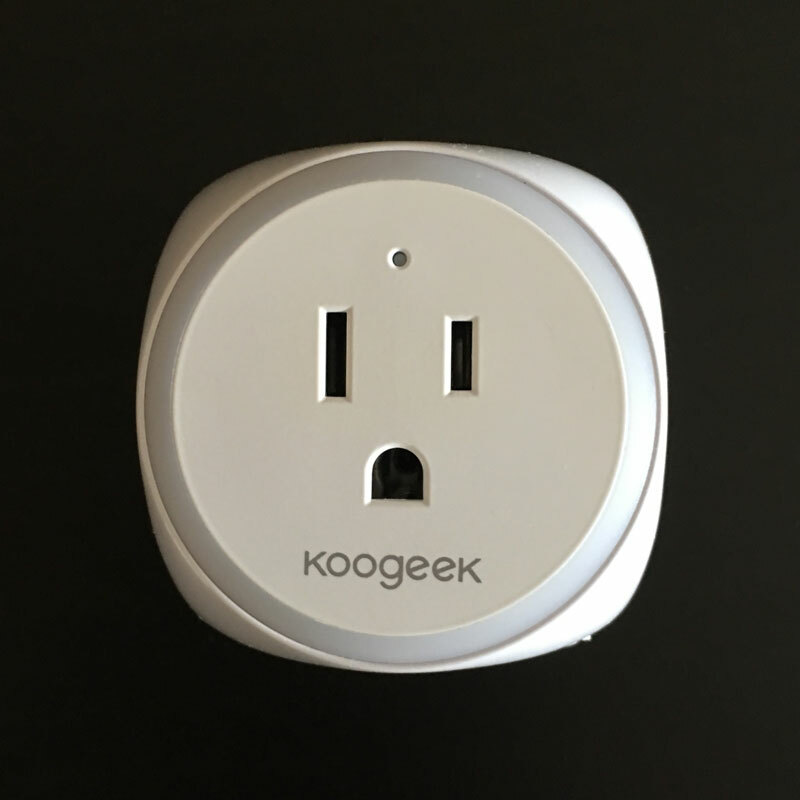 The outlet has energy monitoring, which allows you to check on your electricity usage, although more detailed information on this data is only really available in the Koogeek app itself. 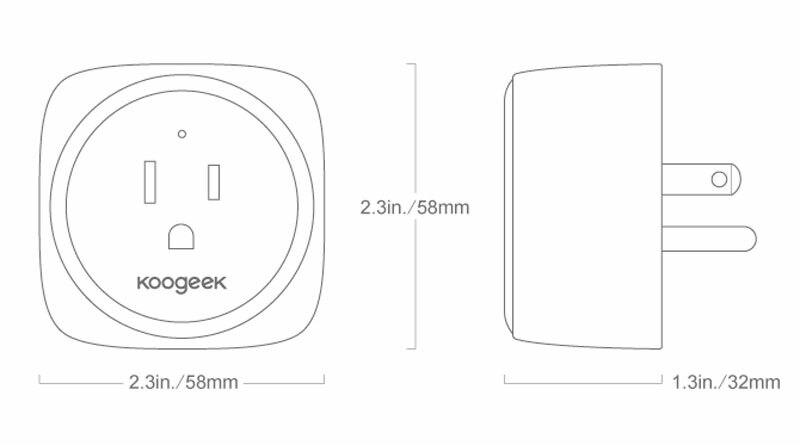 Summing up, the device itself is nicely designed, and while it is a little large, potentially covering an adjacent socket, I do like it nonetheless and it has been very reliable since the last, aforementioned firmware update.